This cold weather really has me wishing that it was spring so I could go outside and do some gardening. I've been busying myself indoors with the next best thing, indoor gardening. In my indoor garden I have succulents, cacti, and many tropical plants including a banana plant. 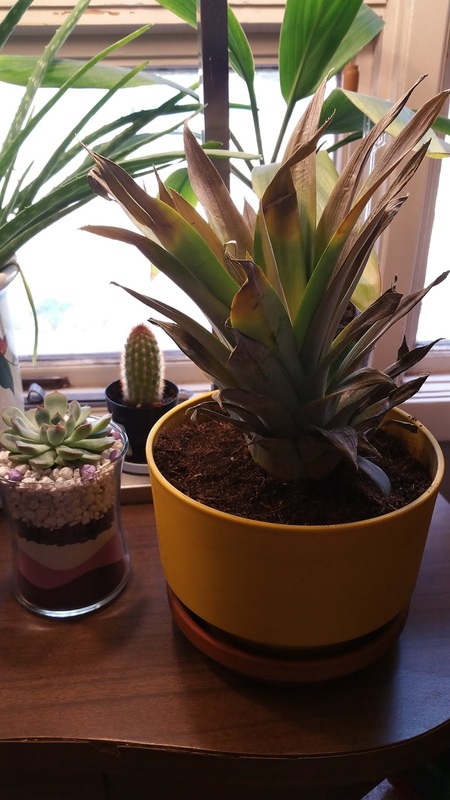 The only thing missing was a pineapple plant, so I planted one of them too. 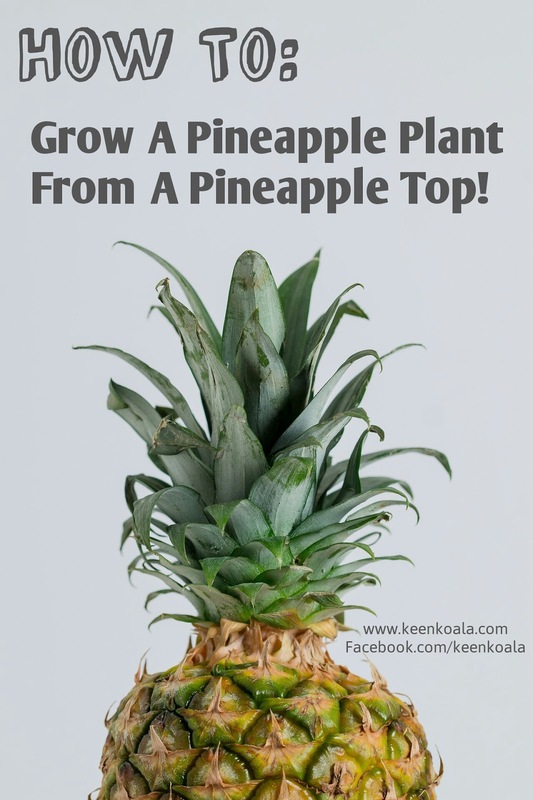 Let me show you how so you can plant one too! 1. 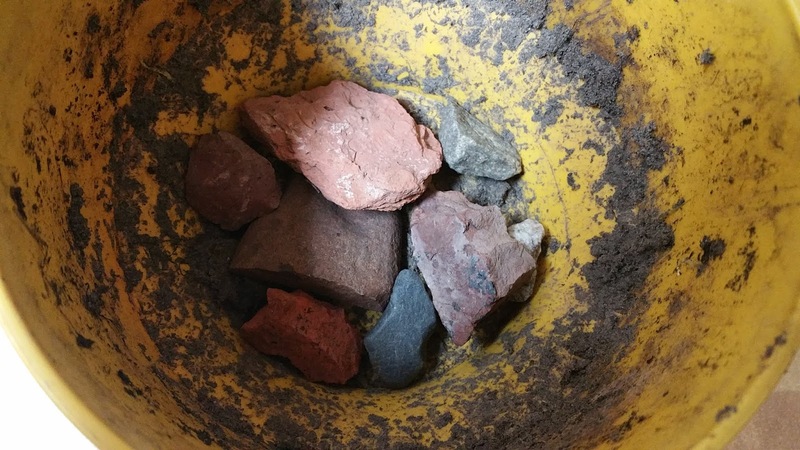 Layer the bottom of a pot with stones for drainage. 3. 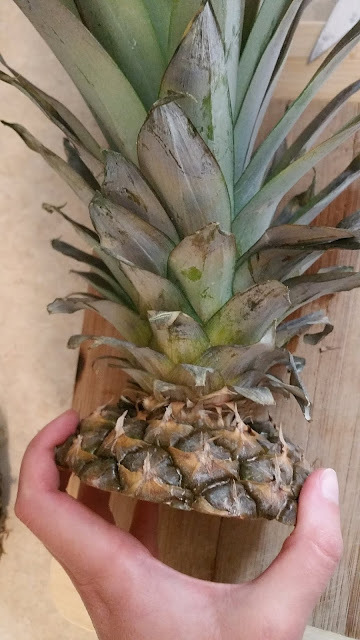 Slice the top off of your pineapple about 1 inch down from the top into the pineapple. 4. 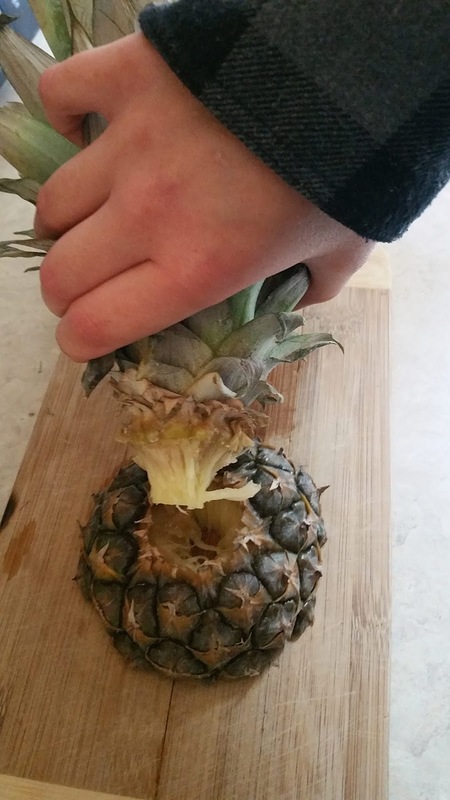 Using one hand to grasp the leaves (plant)and another to hold the pineapple slice, twist the plant free from the top piece of the pineapple. 5. 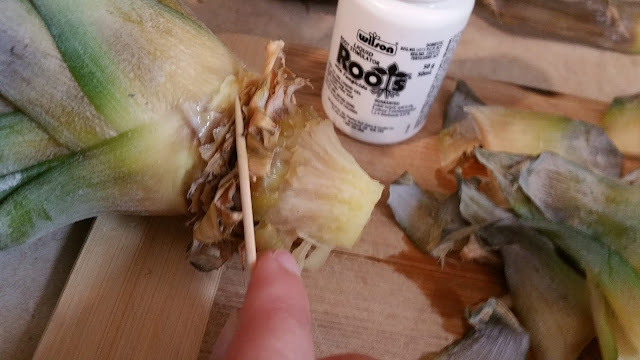 Use your fingers to pull off the bottom few leaves from the plant to expose some roots. 6. Use a toothpick or butter knife to apply a thin layer of rooting hormone to where you just removed the bottom leaves. 7. 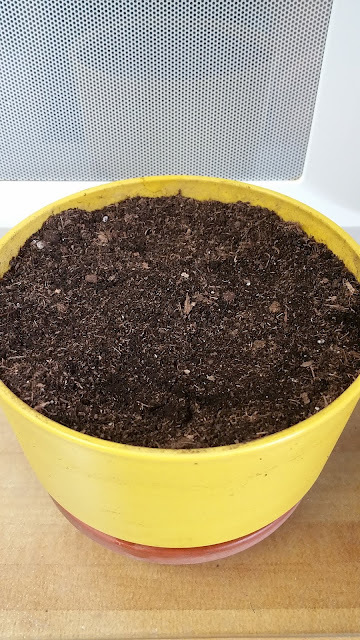 Now it's time to plant it. Stick base of plant into the soil and firm soil around it. Allow plant to sit undisturbed for 30 minutes to allow the rooting hormone to soak in. 8. 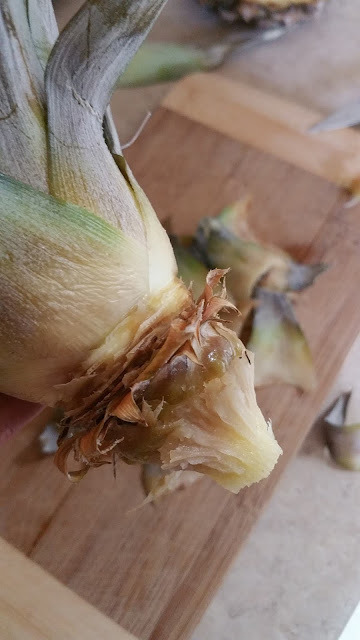 After 30 minutes, give the plant a good drink of water. Place plant in a sunny window. 9. 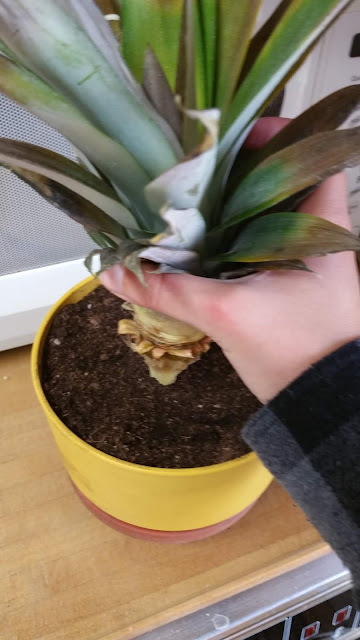 In a couple of weeks you will see new leaves start to appear and this will mean that your experiment was a success and your pineapple plant has taken off! If you enjoyed this tutorial please like us on Facebook by clicking HERE!